I had a very gratitude-filled Thanksgiving, celebrated with family and new friends and delicious food made by other people. But the best part is, I can now start listening to Christmas music without feeling sheepish! Happy first Sunday of Advent, if you celebrate that sort of thing. I love something cozy to enjoy as the days grow ever darker. 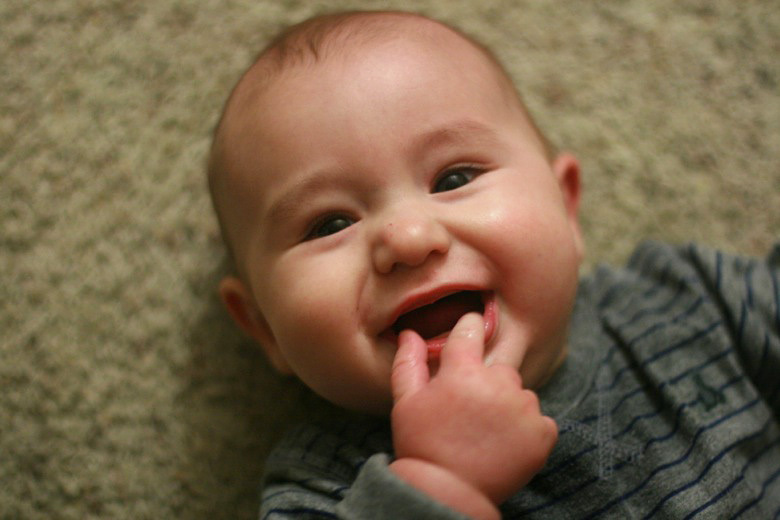 If you want to contribute to the Wordless Wednesday posts at Natural Parents Network (and we’d love to have you! ), our fabulous WW editors, Jorje & Rebekah, have posted the December topics and deadlines at the NPN Forums. Send your holiday pictures in now and sit back and relax the rest of December! What a fun idea to honor the bloggers we love with what they desire most: comments! Christy will give you lots of comment love this next month if you sign up your blog, big or small, so go for it. Will you sign up for the challenge, too, and focus on giving comment love this month? Such a fabulous collection of activities to do through Advent! I have to admit I’m nowhere near ambitious enough to do one a day, but maybe one a week? Two fabulous sensory tub setups, here & here: http://onelovelivity.com/childofnatureblog/super-simple-cornmeal-beach-sensory-tub/ I love the colors and care Terri’s put into hers! We recently made one for Mikko out of some dried goods we had languishing in the pantry — much less pretty but still a huge hit. FB’s at it again. Sigh. starting here, right in this room, when you turn around?" source: not a visitor: I’m doing a poetry thing, where I try to read more poetry. We all need some poetry, and we all need this message. 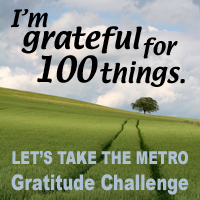 Let's Take the Metro's Gratitude Challenge was an uplifting success. Check out the linked-up posts and enjoy the thankfulness! Three days left! We can do it! How's your progress? Remember, Teresa from Mom Grooves is offering each of our fabulous NaNoProgMo participants a gift — truly! So if you're following along or want to join, just email her your address and she'll mail you a little writerly pick-me-up. More details at: How's your "prog"? You can also see how my progress is going here: Halfway or two-thirds? Find out what I've learned about writing, balance, and fear. Since I wrote that, I've finished my novel to the point that I'm having Sam take another look at it. Whenever he gets around to it. Hint, hint, ahem. 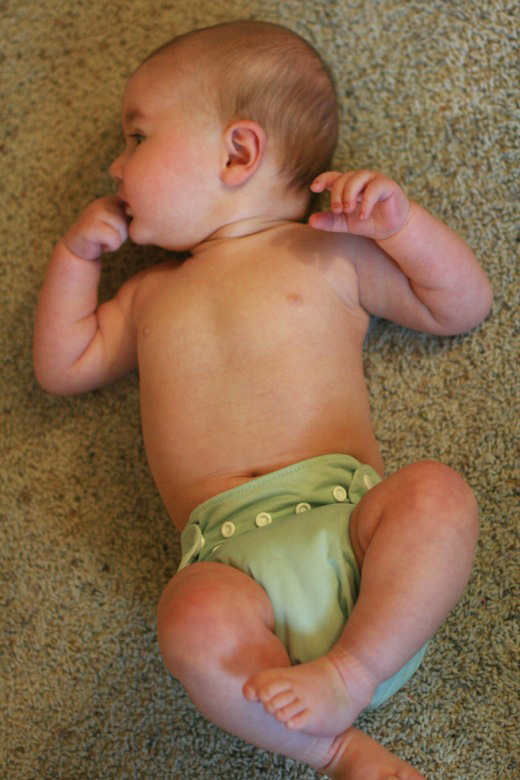 In the meanwhile, I'm working on the NPN Cloth Diapering book! Also a fun job. We have a linky, button and a progress meter available, so join us! Yes, still. We can always keep going next month, too, right? 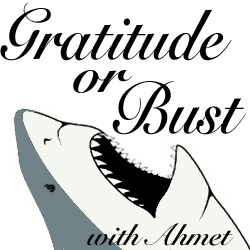 Amanda of Let's Take the Metro had a great idea for Thanksgiving: The Gratitude Challenge. We're all listing 100 things we're grateful for. Here are mine. What surprised me was how easy this list was to write, and how many more items I could add. Mikko: More delightful every day. Alrik: Our family is even better with you here. And you are so dang cute. A few caterpillars who are still alive One lone caterpillar surviving our butterfly raising. Still cute. Sorry, other ones. Late fall is crap for hollyhocks. 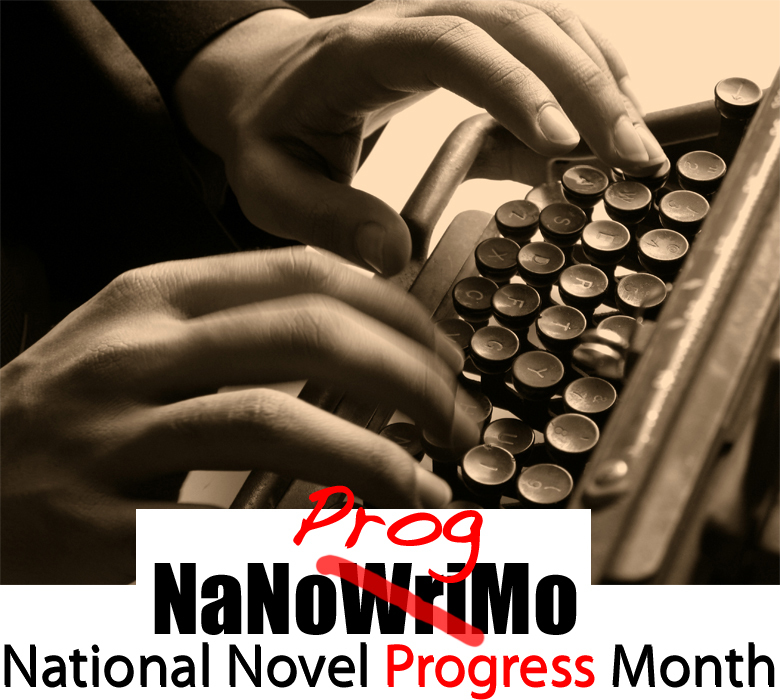 Time to work on my novel: NaNoProgMo for the win. Hulu. So many free shows, so much time to waste. Crunching leaves: I love you, fall. Drifting leaves: Seriously, you're my bestie, fall. Seeing my breath: Winter is moving in. Handmade mei tais: Everyone loves mine, which is so happy making. Too bad I don't sell them. Listening to a four-year-old: It never fails to be amusing, and often enlightening. Minky and flannel blankets: So cozy. The internet: How did I exist before you? GPS navigation: How did I drive before you? Oh, that's right, I got lost all the time. Guest posts: So much wisdom, shared with me. Crepes: What Sam is making for Thanksgiving. What a rebel. Rocking out to the iPod, even though Mikko makes us listen to the same song over and over. Mount Rainier: I love catching a glimpse. 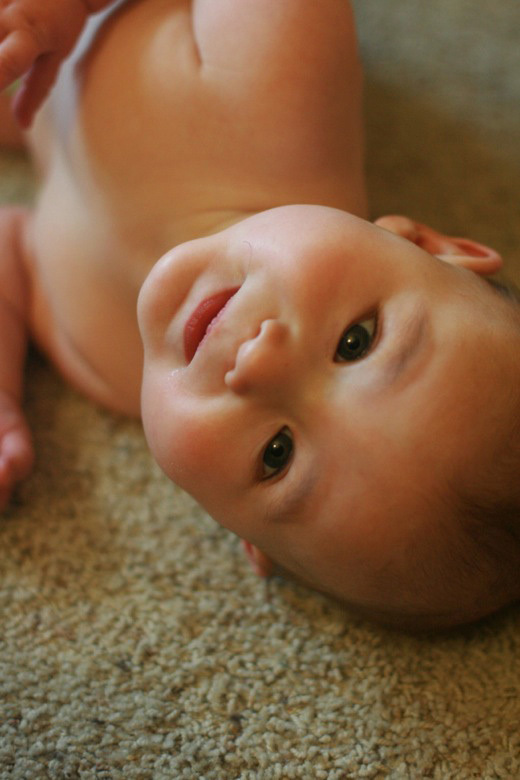 Taut baby skin: Those cheeks! Cozy flannel sheets: Best part of being cold is how good they feel. Dominating the high score board against my husband and preschool son: Take that. Feeding seagulls: Four-year-olds find their eagerness exhilarating rather than obnoxious. Brothers in matching clothes: I never tire of this. I'm so glad neither have my boys at this point. Yelp reviews: I keep using them, so I decided to start contributing them. Christmas on the way: I am so excited because Mikko is. So excited. Watercolors: I love reading children's books because of the beautiful illustrations. Pine nuts: They're just really good, aren't they? Babies all around: My NPN friends are reproducing in droves! Guess we're syncing our cycles. Winter Crocs: They look so cute on Mikko's little (growing) feet, help keep them warmer than his usual Crocs, and I got them cheap off eBay. Cold feet warming up: Another good thing about winter. Snuggling: Sam is comfy. Mikko is huggable. Alrik is a lap lover. Mikko's smile watching JibJab. My parents make one for every holiday. Avocado: That is one excellent fruit. That I remembered to put Scrooged on hold last December and save it for this December. I kept remembering at Christmastime that I'd wanted to see it again, and of course there were always a dozen other holds on it, so there was no chance of getting it from the library till March. Last year I finally realized: Put it on hold anyway, and suspend the hold till December. I'm now first in line and can get it whenever I please. Ha! An Improvised Christmas Carol: I probably won't even go this year, what with the babysitting conundrums presented therein, but I have such good memories from the years I have been able to go. Tiny Tim with giantism! Hee. Running: I love how strong I feel. Sewing machine set up: For so long, it was tucked away and I had to get it out if I wanted to sew, so I barely ever did. I love that it has a place now. Even if I still can't sew very much. Because I have a baby who sleeps in that room. But whatever. Sleeping baby: For such is good. NPN community I can now call friends: I am so honored and blessed to be a part of this amazing group of volunteers and thoughtful parents. I learn from them so much, and am overwhelmed by the love they put out into the world. 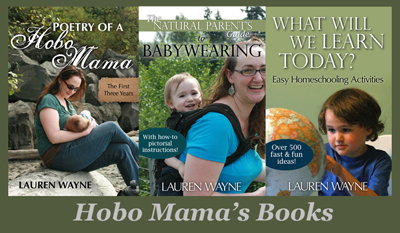 Experiments in natural family living: I'm excited, despite it all. Garden tucked in for winter: Aw. Water taxi: What a fun way to go downtown! Fruit rolls: What a fun thing to buy downtown! Honeycrisp apples: I am truly eating my apple a day. Rainier cherries: Not in season right now, but they deserve a shout-out. Taco Time: They never sneer at making my son an uncooked, deconstructed quesadilla, and they always let him take more than one number to his table. Restaurants we love within walking distance: Yea, Alki! 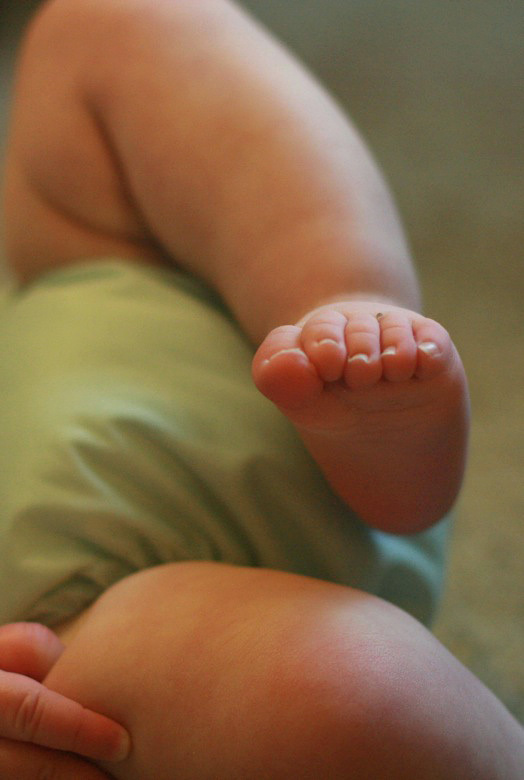 Baby Diaper Service: On our second diapered baby now. New friends: We're inviting an attachment parenting family we've never met to Thanksgiving, and we've recently connected with kindred souls at our new church. Hand-me-down toys: Booyah for twins who are just a bit older than my baby. Leaf rubbings: Mikko's autumn excitement. The beach: It's small, and cold this time of year, but I love it. Living near water: My dream come true. Clean water: I don't want to take the very basics for granted. Food to eat and eat and eat: It is Thanksgiving, after all. Wool dryer balls: I'm giving them as Christmas presents! Our first Thanksgiving: We've had Thanksgivings before this, of course, but this is the first year we're making turkey (turkey crepes, but still) and having people over to our house. It feels very grown-up and holidayish. My online community: I've come to cherish my readers and fellow bloggers so dearly. I never knew when I started blogging what a fellowship I would come to find.